3. REMAINDER THEOREM. If the polynomial Q(x) is divided by (x − a) until a constant remainder R is obtained, then R = Q(a). In particular, if a is a root of Q(x) = 0, then Q(a) = 0. 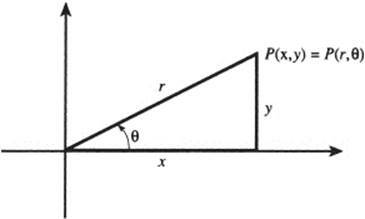 The sum of the angles of a triangle is equal to a straight angle (180°). 6. Parallelogram: A = bh. 7. Circle: C = 2πr, A = πr2. 9. Circular arc: l = rθ. 13. sin2 θ + cos2 θ = 1. 14. 1 + tan2 θ = sec2 θ. 15. 1 + cot2 θ = csc2 θ. 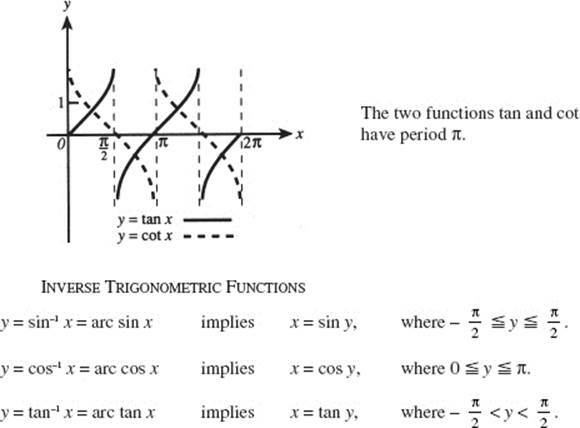 16. sin (α ± β) = sin α cos β ± cos α sin β. 17. cos (α ± β) = cos α cos β sin α sin β. 19. sin 2α = 2 sin α cos α. 20. cos 2α = cos2 α − sin2 α = 2 cos2 α − 1 = 1 − 2 sin2 α. 24. sin (−α) = −sin α: cos (−α) = cos α. 27. sin (π − α) = sin α; cos (π − α) = −cos α. 28. sin (π + α) = −sin α; cos (π + α) = −cos α. 29. LAW OF COSINES. c2 = a2 + b2 − 2ab cos C.
31. 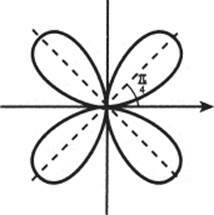 The area sin C.
The four functions sketched above, sin, cos, csc, and sec, all have period 2π. y − y1 = m(x − x1). 39. With center at (0, 0) and radius r: x2 + y2 = r2. 40. With center at (h, k) and radius r: (x − h)2 + (y − k)2 = r2. 41. With vertex at (0, 0) and focus at (p, 0): y2 = 4px. 42. With vertex at (0, 0) and focus at (0, p): x2 = 4py. 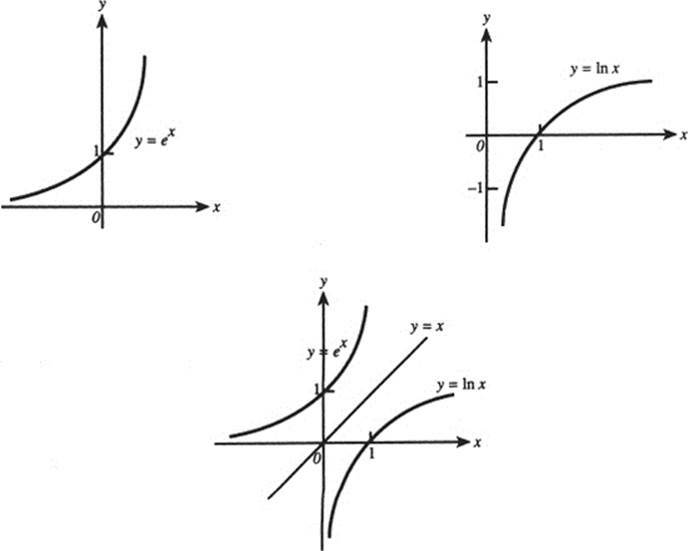 43. parallel to x-axis, focus at (h + p, k): (y − k)2 = 4p(x − h). 44. parallel to y-axis, focus at (h, k + p): (x − h)2 = 4p(y − k). 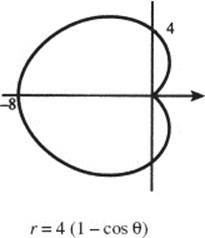 For the ellipse, a2 = b2 + c2, and the eccentricity which is less than 1. 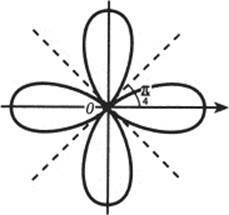 For the hyperbola, c2 = a2 + b2, and eccentricity which is greater than 1. 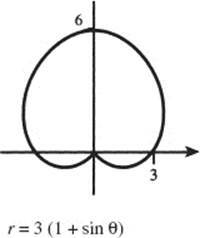 54. r = a circle, center at pole, radius a. 55. r = 2a cos θ circle, center at (a, 0), radius a. 56. r = 2a sin θ circle, center at (0, a), radius a. 59. r = cos 2θ. 60. r = sin 2θ. 61. r = a (1 ± cos θ). 62. r = a (1 ± sin θ). 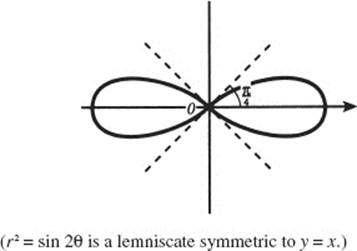 63. r2 = cos 2θ, lemniscate, symmetric to the x-axis. 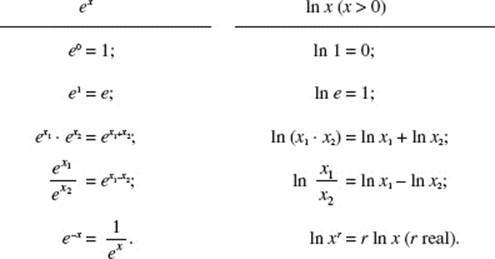 ln ex = eln x = x(x > 0).